Buy Ourtime X200 smart watch in Bangladesh from Cellsii.com at best price with Android 5.1 OS 1.39" IPS OLED screen, RAM 1GB, ROM 16GB support SIM GPS WiFi 3G IP67. 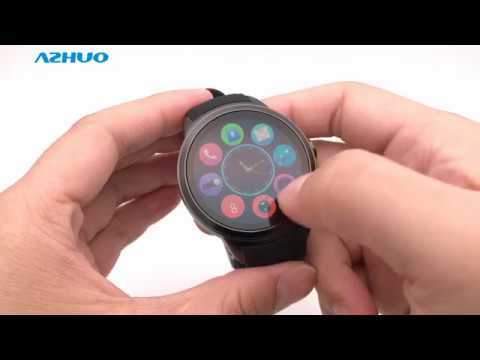 This overall waterproof smartwatch with heart rate monitoring for Android. It can be used as a phone, perfectly compatible with Android smartphones. But it doesn't support iOS phone. Aluminum watchcase with anodic oxidation processing - Made by special material,great feeling for the touching and looking. Different syles of watch dials available - Popular themes and colorful dial to manifest your personality and charm,change the style waht you like,each one comes with a corresponding display verison. Freely take photos by the camera on the watch.